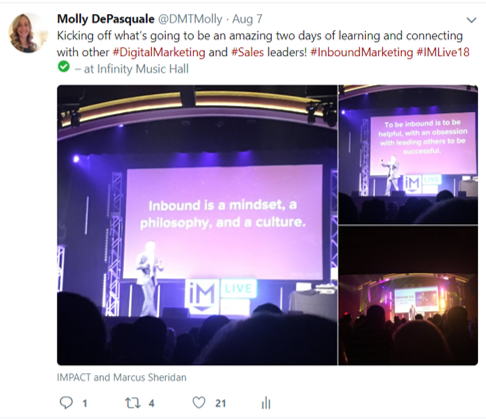 This week, I attended IMPACT Live 2018, which was an exclusive, 2-day experience designed to bring marketing and sales leaders together to learn and make valuable connections. To give you a little more background, the theme of the two days revolved around redefining inbound marketing. In the opening session, Marcus Sheridan, shared an honest look into where we were, where we are, and where we need to go to make inbound an even more essential part of doing business. Inbound is a MINDSET, a PHILOSOPHY, and a CULTURE. Trust is the most important currency in business. There is always room for growth. As I made the trip from Connecticut back to New York, I started wondering about next year and it got me thinking: What can I do to plan and create an even better experience for myself next year and for future events? What should I do differently? 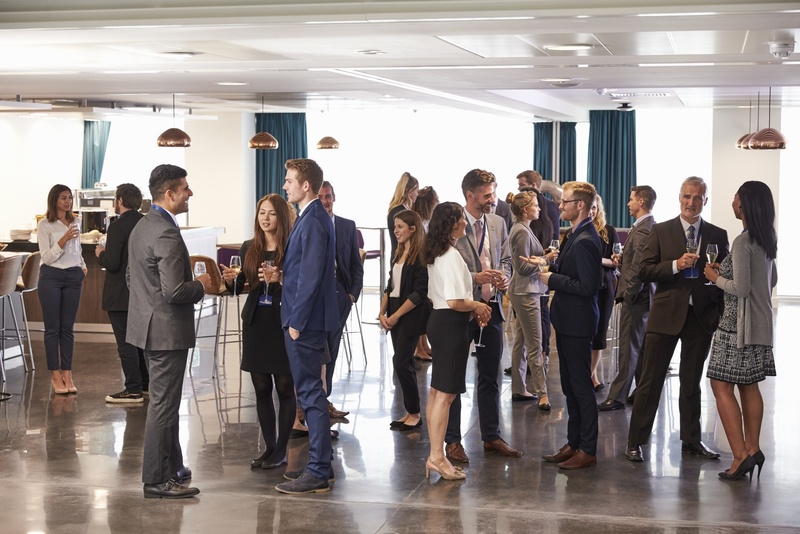 So, to complement this new era of Inbound Marketing and focusing on a more helpful approach, I’ve identified 9 tips from my own experience as well as crowd sourced a few from other attendees to share how you can maximize your next networking experience. Do your research in advance of the event. Who will be there? How can you help them? Don’t go into an event with a laundry list of things you want. Instead, go into the event thinking about how and why you can help some of the other attendees. The IMPACT Live event was a single track event. In other words, that means there weren’t any breakout sessions, but rather, the entire group experienced the same sessions at the same time. I LOVED this experience because you could then speak to anyone and everyone at the event about all of the sessions. It creates a more comprehensive learning experience for the attendees and certainly provides a lot of great talking points to speak to each other about. Check out the agenda. What time will they go on stage? Will you have an opportunity to meet them? If yes, do you know what you’ll say? As you watch the speaker, jot down a few notes. Perhaps something they said really resonated with you and you’d like to ask a follow up question. Take this opportunity to mix and mingle with the speakers. Don’t roll your eyes at me just yet. Business cards still do serve a purpose. In networking situations like being at an event or meeting a random person en route to the event, business cards are convenient. You may be thinking, what about my phone? Can’t I just use that? Yes, we all have a phone or other digital devices at our fingertips, but that doesn’t necessarily make it any easier or faster to give or get contact details. You could email the information to them but that necessitates getting a person's email address and inputting the information. How is that faster than just handing someone a business card? Alternatively, if you are rolling your eyes at me and thinking business cards are so 5 minutes ago, then ask the person how they would like you to share your contact details with them. While some events are casual and others are more formal, it’s important to look (and feel) your best. Once you understand the theme and style of the event, plan your outfit accordingly. While it’s nice to feel comfortable, it’s often better to err on the side of being overdressed vs. underdressed at networking events. You never know who you might meet and whether they could be a stepping stone to your next big business opportunity. You may not have this luxury if you have to travel far to the event, but it’s a good idea when possible. Getting a good night's sleep before any big event allows you to feel fresh in the morning. You’ll be meeting new people and you want to be on your “A” game so that you can make a great first impression. Focus on asking open ended questions instead of yes-no ones. This will foster a better conversation and will help you uncover follow up questions to ask. This list of conversation starters is a good place to get a few ideas. 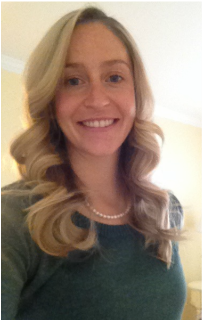 Don’t just defer to the common (and boring!) questions like: Where do you work? What do you do? Instead, inquire about hobbies, passions, interests. You’ll learn a lot more about the person you’re speaking to and you’ll have a more engaging and lively conversation that could result in a new business connection or possibly even a new friend! 8. Smile and Say Hello! You may find yourself alone or in an awkward situation, and that’s OK. If you do find yourself panicking about not having someone to talk to, don’t immediately turn to your phone as a safety net, instead smile and say hello to the person next to you. Chances are they are in a similar situation or feeling the same way. You’d be surprised how well this approach works. I would say it’s a good More often than not people are receptive to a warm smile and friendly hello. Use it to share images from the event and share your thoughts. What did you find useful or valuable from the session you just saw? Can you find an opportunity to connect with some of speakers at the event? Or even other attendees? Usually events have a hashtag that can help you find other people at the event. Use this to interact with those around you. Share what they are sharing and comment on their posts. It’s a great way to warm up to someone you don’t know. 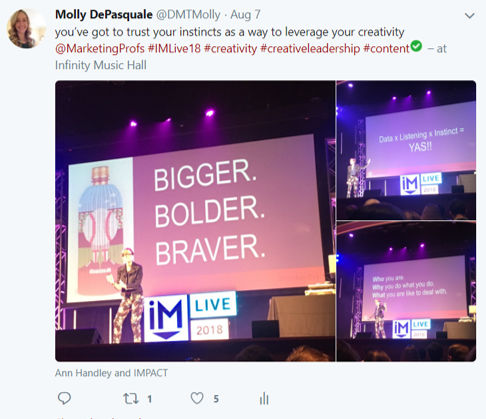 I took advantage of this approach at #IMLive2018, here’s a quick snapshot of one thing I shared during the event that got be a bunch of likes, retweets, and new followers! This is just a starter list to everything that you can do to make the most from your next networking experience, but try one or all of them out and tweet me @DMTMolly about how it goes and what other things you would add to this list! Why should you network? Having the right professional contacts can help you expand your business and open the door to new opportunities. One of the best ways to meet those contacts is by attending networking events. Networking will help you develop and improve your skill set, stay on top of the latest trends in your industry, keep a pulse on the job market, meet prospective mentors, partners, and clients, and gain access to the necessary resources that will foster your career development. When you invest in your relationships — professional and personal — it can pay you back in dividends throughout the course of your career.